Have you already booked your next holiday in Lake Orta? If you are looking for an efficient and quick way to contact tourist facilities and organizations, then we offer the right service for you. 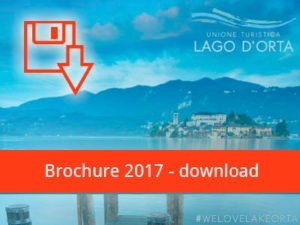 We offer you the possibility of requesting several online catalogs relating to tourist areas and different tourist facilities of Lake Orta. Select the catalogs of your interest – they will be sent to you free of charge or you can pick them up at our operations center in Pettenasco .. You will also have the possibility, through our holiday guide, to create a personalized guide with all the useful information for your travel! A free service that will be of great help during the entire duration of your stay!